I recently had to record a live talk for someone and I wanted to get good sound from the person speaking. Unfortunately, up until now all of my sound recording experience was in a homemade studio using a full-size microphone hooked up through a computer. So I had to invest in some new audio equipment, but I did not want to spend a lot of money. Fortunately, I found an excellent budget solution that still gives very good sound quality. I put a lavalier microphone on the speaker and ran it to a small sound recorder in her pocket. Lavalier microphones, also called lapel microphones, are very small microphones you see clipped to clothing on talk show hosts, talk show guests, news anchors, and many other scenarios. They are small enough that they are easily ignored, but they can pick up speech surprisingly well. Many lavalier microphones are very expensive, but Audio-Technica makes the ATR-3350 which sells for less than $30 (at the time I am writing this, Amazon is selling it for only $22). 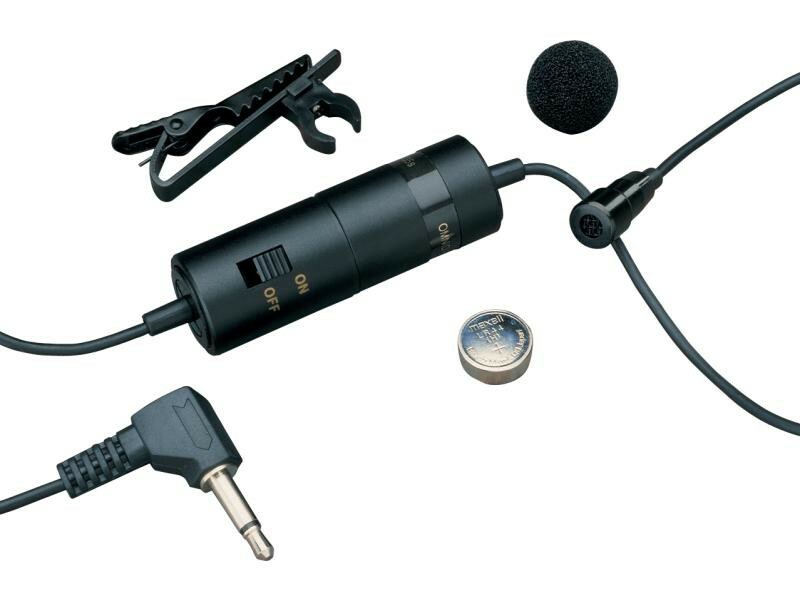 It comes with a windscreen, a single battery, and a lapel clip to attach the microphone to clothing. Unfortunately, I broke the lapel clip almost immediately (I still do not know how the microphone is supposed to attach to the clip) and a direct replacement would cost almost as much as the entire kit, so instead I found a generic replacement for only $3. You will also need to buy additional batteries, because if the battery dies then you get absolutely no sound. 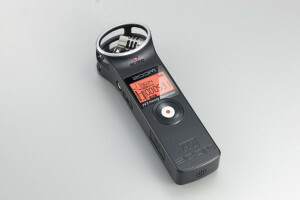 To actually record the sound, I used a Zoom H1 Handy recorder. 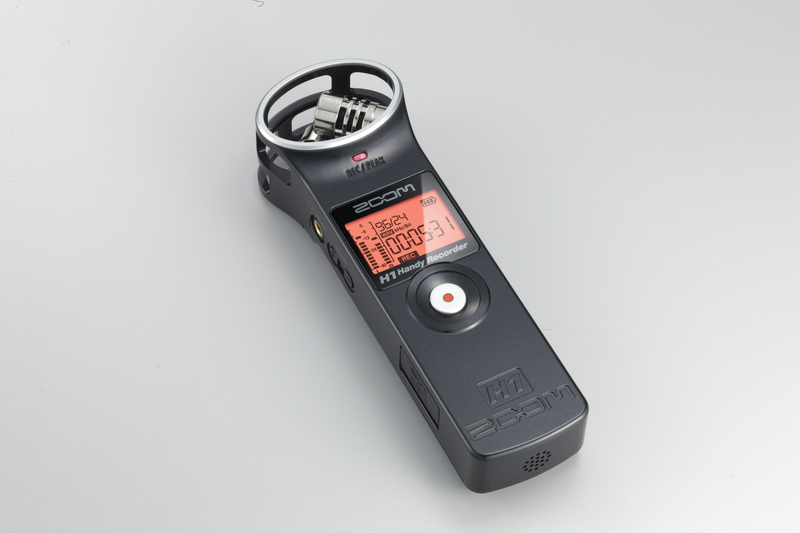 Zoom makes an entire line of sound recording instruments and the H1 is the least expensive, but it still has a lot of great features for a portable recorder. It has a loudness meter on the display so you can adjust the input levels before you record. You can listen to the recording using a headphone jack. It records in either WAV or MP3 format. And if you do not use an external microphone, it has two built in microphones at the top to get stereo sound. Finally, a nice touch is that the power button has a “Hold” setting, which prevents any buttons from being pressed. That last feature is great so that when the recorder is in my speaker’s pocket during a speech, she cannot accidentally hit the “Record” button and stop the recording. After buying the backup lapel clips and some spare batteries, the entire setup cost less than $150. And now I have a portable solution that will work great for speech or even just going out and capturing some foley.